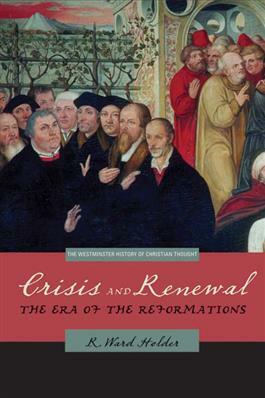 This latest volume in the Westminster History of Christian Thought series introduces readers to the events and ideas that propelled the various religious reformations of sixteenth-century Europe. A splendid introduction to this momentous period, Crisis and Renewal examines the historical and theological developments that dramatically changed the religious landscape of Europe and continue to have important effects today. Discussion questions and other aids make this an excellent book for classroom use. Designed particularly for undergraduate courses in theology and religion, the Westminster History of Christian Thought series offers reliable and accessible introductions to Christian thought for each major period in Christian history--the early church, the medieval era, the Reformation, the modern age, and the contemporary period--and concludes with a volume on American religious thought.